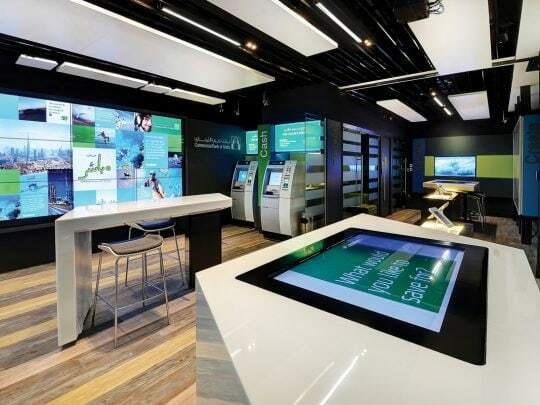 Commercial Bank of Dubai have just opened the first of a new generation of retail branches, the digital kiosk at Dubai’s Higher Colleges of Technology. This new technology driven retail space incorporates touch screen tables, tablets and interactive video walls to create a striking and immersive brand experience. The digital branch will reach out to a new generation of customers, reinforcing the banks digital channels and creating a more informal and connected banking experience.